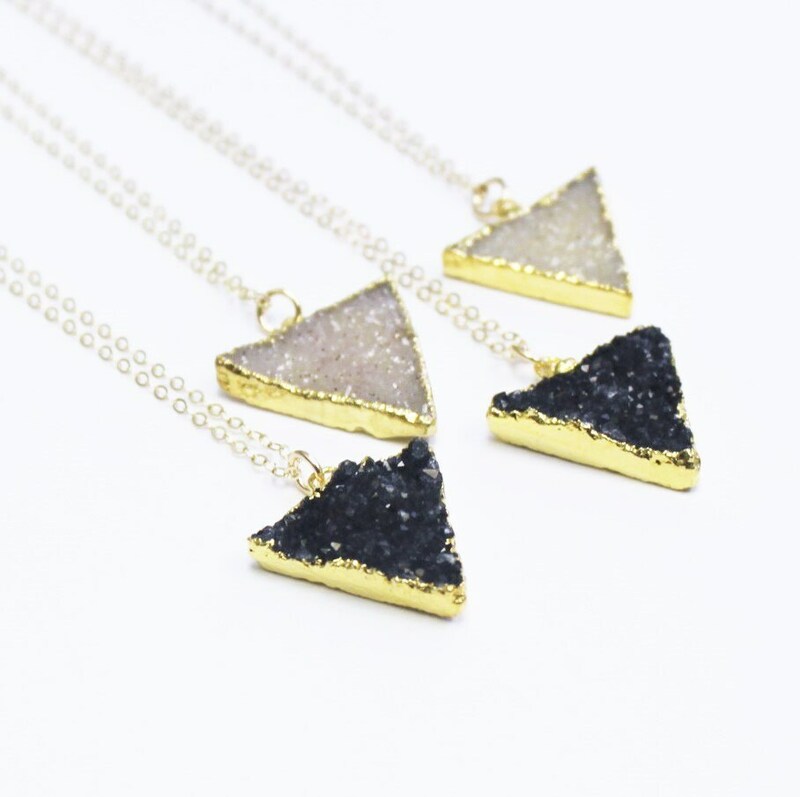 This Triangle Druzy Necklace is a wonderful way to add a little boho chic. 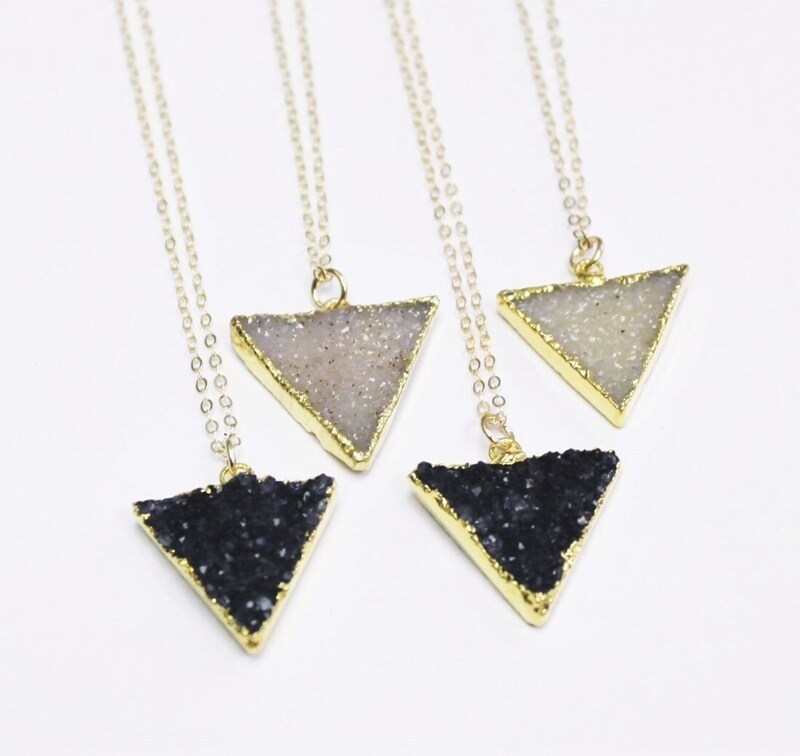 Available in black or white options it add a perfect amount of sparkle. - This is a natural stone and each pendant is perfectly imperfect. Choose between a black or white color. Styled with the black horn and long hammered bar necklace. 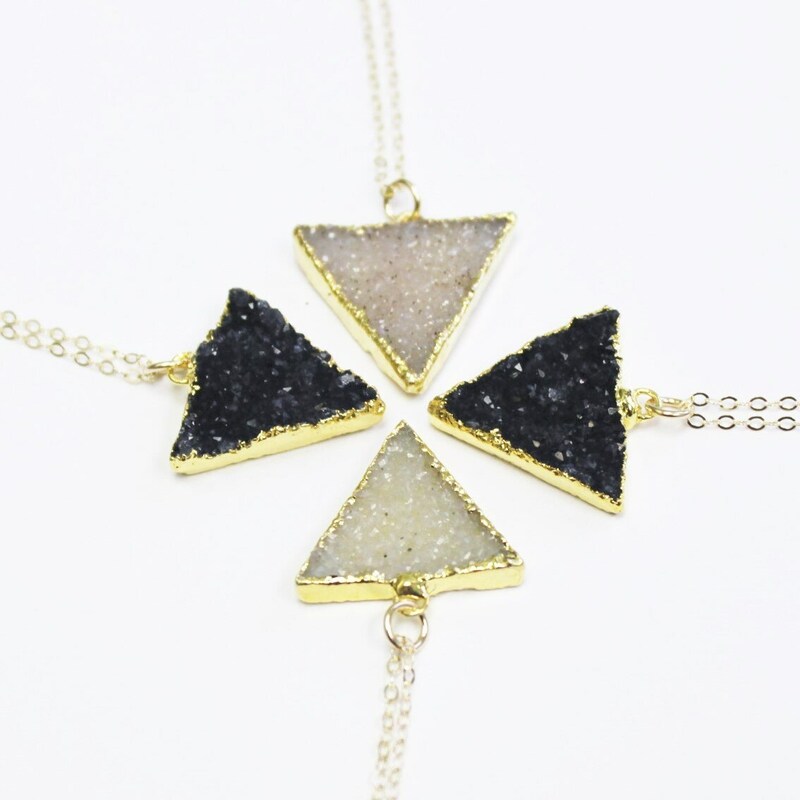 Love this beautiful and unique necklace! Delivered in an efficient time frame and looks exactly as I pictured it. Really delicate, pretty necklace; I've gotten a lot of compliments on it. Only (totally minor) thing is the gold leafing on the sides are a little sloppy, but still looks good. 18" is a really nice layering length. Nicely packaged, quick delivery. Overall really happy with it. TheSilverWren definitely exceeding all my expectations! Such great customer service & the necklaces were beautiful. My bridesmaids will love them!